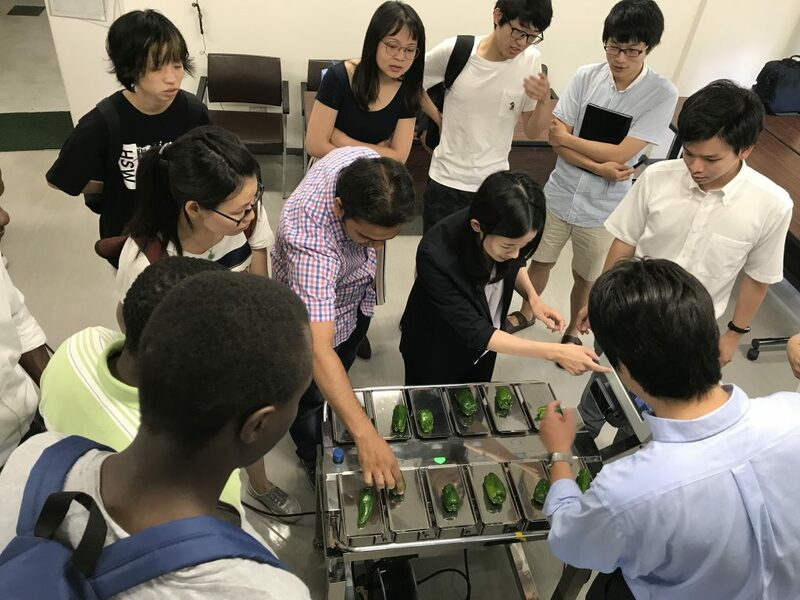 During each spring semester, Kyoto University’s Graduate School of Agriculture (GSA) hosts a series of weekly guest lectures by engineers from Japan’s leading machinery companies. Topics covered include innovative product concepts and issues facing the agricultural industry, such as those related to life, food, and environmental sciences. The 26 June lecture, delivered by an engineer from a world-leading manufacturer of food weighing and packaging equipment, included lecture and product demonstration. Students were given the opportunity to operate actual weighing and packing machines and they were highly impressed by the speed and accuracy of the demonstration models. GSA’s spring semester lecture series is part of the Transdisciplinary Graduate Program. The lectures are given entirely in English, making the series extremely popular among international students, Japanese students, and students from other KU graduate schools.